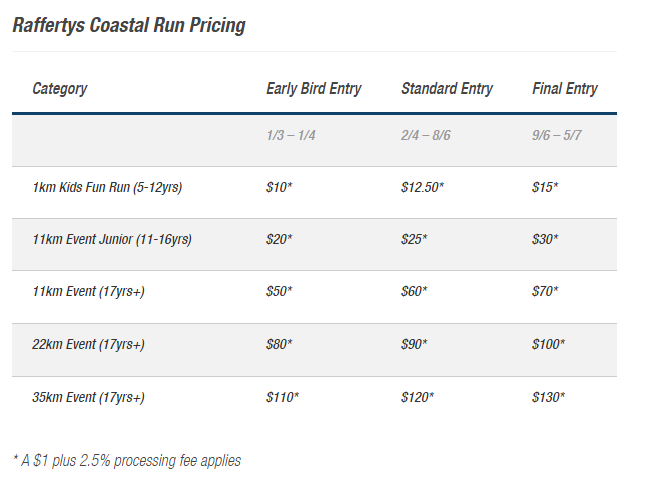 Raffertys Coastal Run 2017 | JustRunLah! A 11 km, 22 km and 35 km trail run hosted from Raffertys Resort, the course takes in the sites of beautiful Lake Macquarie and the stunning coastline of historic Catherine Hill Bay and the Munmorah State Conservation Area. With a inclusive, family friendly vibe including kids activities and fun run during the event this is one trail run you can bring the whole family too.